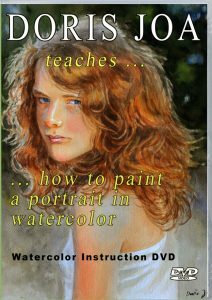 Watercolor Painting for Beginners - What is watercolor? Watercolor painting for beginners – What is watercolor painting? 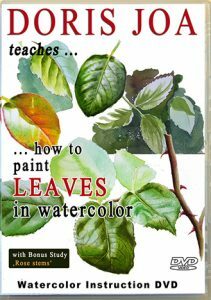 On my website I will share a lot of information with you about watercolor painting. 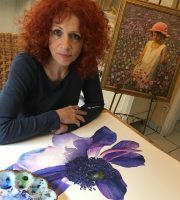 I am a professional watercolor artist since many years and I love to share my experience about watercolor painting. 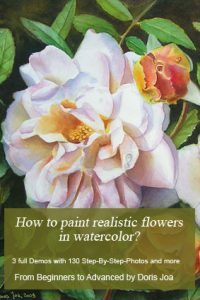 Before you start to paint you need to know what watercolor is, which watercolor painting supplies are needed and I also will explain the common watercolor techniques. I share my colour palette with you, which brushes I am using and I also will give information about the paper or surface I am using for my paintings. 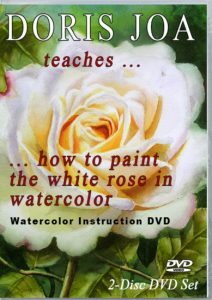 You will also find a lot of watercolor tutorials about how to paint with watercolors, how to paint roses, how to mix different colours. Watercolor is a water-based medium. Watercolors can be used for creating patintings in each size – starting from miniature size up to very large paintings. See the paintings below: One is painted very large, one is a miniature painting and another one is painted in middle size. Watercolors are non-toxic and they don’t smell. 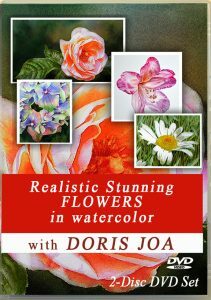 You can create paintings fast in a loose style but you also can paint rich-coloured paintings in a realistic style. Watercolor paints are available in tubes or in pan sets. They are light-weight and easy to transport. When you have half pan sets in a metal case you can use this case for mixing your colours. If you use watercolor tubes then you also need a watercolor palette. Watercolor paints can be used again and again. The name Watercolor says it all: you need water to make use of them. Your paints will be thinned with water. The more water you use the thinner your paint will be. There are also artists who use alcohol to thin the paints. But most artists only use clear water. Watercolor dry usually very quickly. If you work with a lot of water while painting then you can use a hair dryer to fasten up the drying process. Watercolor brushes are available in many different sizes and different forms. It depends on what you want to paint. They are easy to clean with simply water. Usually a few brushes with a good point is all you need to have. You need special watercolor surface. The common surface is watercolor paper, which is available in blocks or as sheets or on rolls. Watercolor paper is availabe in different weights and with different texture . Watercolors are also a perfect medium for doing quick sketches and also for plein air painting. Many artists also use Watercolor pencils for doing their sketches or their initial drawing. Also you can use watercolors in combination with graphite and ink to create mixed media paintings. It is also possible to do the first steps of your painting with watercolors and then you can finish it maybe with acrylics. There are many possibilities to use watercolors in combination with other mediums. I prefer to use watercolors alone for my professional paintings. 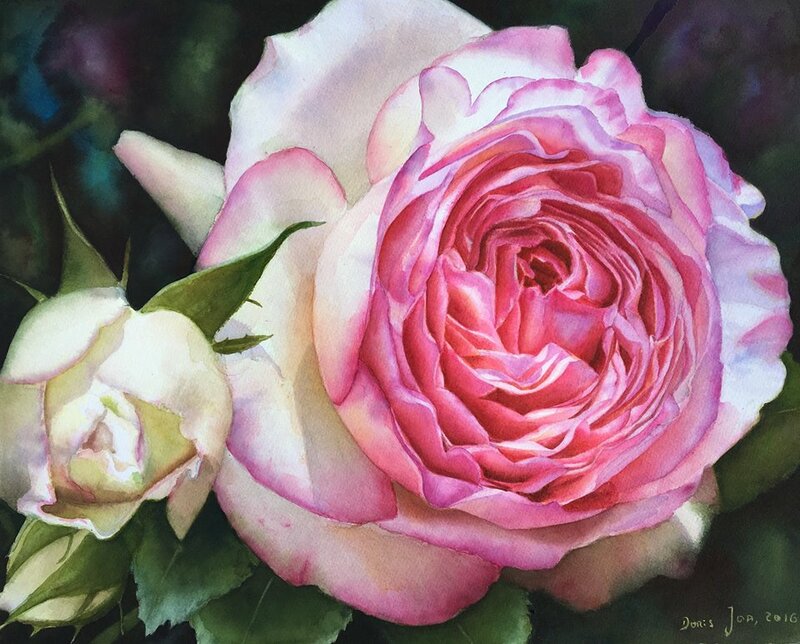 The common Watercolor Painting Techniques are: wet-on-wet, wet-on-dry or dry-on-dry. Read more in the explained Watercolor Technique article. To keep in mind is that painting with watercolors makes a lot of fun, but it is also a very diffcult medium It is easier to handle it once you know how to work with it and which effect you want to acchieve. It is often hard to cover mistakes. The more you learn about this fantastic medium the more you also learn how to work with mistakes. If you want to avoid surprises and to paint realistically then it is needed to start with good preparations. Start with planning your composition and a good drawing before you touch the paper with watercolors. You can work with layers. If you use transparent colours your previous layers will shine through following layers. This gives a create effect in your painting and no other medium is able to do this. When starting with watercolors you will need a few tools. Just read the article about the Watercolor Tools for the beginning artist. 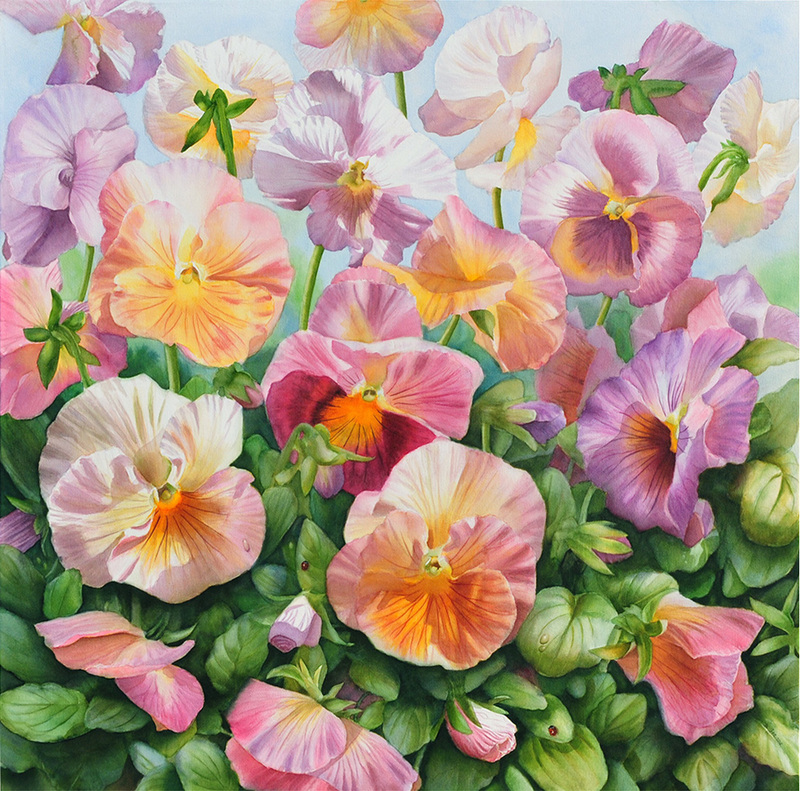 A watercolor painting – which is painted on paper – needs to be framed behind glass. If you create a painting on canvas you can frame it without glass, but then you need to varnish it with a protective spray. Click on the following links below to find more information.